Gemstones give you the very best of both worlds, with all the colourful, natural beauty of precious stones, without the hefty price tag that often comes with them. 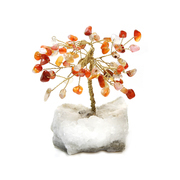 Most semi-precious gemstones come from crystals or mineral deposits, although gems can also come from organic sources, such as amber from tree sap, or jet, which like oil, comes from decaying wood. 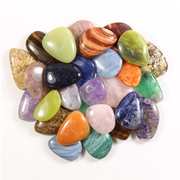 At RockShop Ambleside, you’ll find a rainbow of gemstones to choose from, from the rich purples of Amethyst to the pretty pinks of Rose Quartz, from the golden toffee shades of Carnelian, to the mysterious Preseli Bluestone that the ancient Britons used to create Stonehenge. At the RockShop, you can enjoy your gemstones however you want, from breath taking natural crystal formations, to polished agate slices, cut through glorious geodes. You can wear your gemstones as jewellery, or use them practically around your home as bookends or tealight holders. 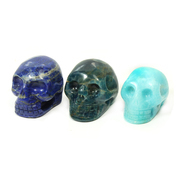 You can give them as gifts, carved into hearts, or simply enjoy them for what they are, with a basket of polished gemstones to decorate your home. From a fluorite heart for just a few pounds, to a silvery pyrite sphere costing a few hundred, the beauty of gemstones is that there is something for every budget here online. 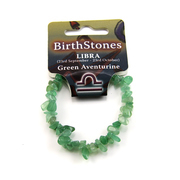 Visit our store and you’ll find even more, with unique and unusual gemstone pieces that must be seen to be fully appreciated, turning the Rock Shop into a genuine gemstone gallery.